This action-survival game challenges players to investigate shadowy conspiracies that surround Central Park in New York City. Things do not start off well for Edward Carnby in the latest incarnation of Alone in the Dark, as we found out rather quickly after heading over to see Atari for our first chance to spend hands-on time with his latest adventure. Alone in the Dark opens with the protagonist waking up in a drug-induced stupor, with no memory of who he is, where he is, or what is going on around him. The first hint of sinister goings-on comes from a conversation that starts to slowly bring you around, before the people who are talking realise you’re awake and promptly march you out of the room to be shot. You might think that at this stage, things could only get better, but that is not the case. A brief reprieve in the form of your executioner being attacked and dragged away leads to the discovery that the building you’re in is not only on fire, but also being torn to shreds and falling down to the street below–where all hell is breaking loose. As you struggle through the building, the abilities of the game’s engine become apparent through a number of set pieces and triggered events. In one, as you clamber around the outside of the building, an explosion below sends a car hurtling up toward you, knocking out a section of the ledge, with the sound of the car’s alarm affected by the speed and spin of the airborne vehicle. In another, the game engine’s lighting capabilities are shown off to dramatic effect, as you clamber up into a half-destroyed room, lit only by a child’s night-light that has fallen to the floor, with music tinkling from it. Light is provided almost solely through this gently turning item, projecting a pattern of moons and stars across the wall. Later, we came up against a zombielike creature that we quickly realised was actually one of the incidental characters killed off during our ascent of the building. They had been possessed, seemingly by the same force that was destroying the city, and we were forced to defend ourselves with the only thing that came to hand…a frying pan. This proved to be an excellent introduction to the game’s ad hoc combat system, which lets you fight with anything light enough to pick up, as well as items in your inventory. The system for fighting with objects is very simple–when holding an item, you control its movement with the right analog stick in a logical manner. So, if you pick up a fire extinguisher, you can swing quickly with a forward semicircle on the stick to knock any number of advancing creatures off their feet. Or, you can pull back on the stick and then push forward to ram a creature in the gut or break a door down. To top this off, you can actually use the extinguisher to put out fires too, which can be just as useful given how much of the building in question seems to have caught fire. Alas, the zombies don’t die after a few blows to the head. While you can knock them to the floor with objects, they won’t stay down for long unless you deliver a suitable killer blow in the form of fire. This can be done either by grabbing the zombie by the feet and dragging it to fire or by bringing fire to the zombie. This can prove trickier than it sounds, as we didn’t find a lighter until toward the end of the second episode, but thankfully, the game’s approach makes it a relatively straightforward process. Pieces of furniture are generally the easiest things to use to transfer fire; if hold something flammable in a fire for a moment, it will start to burn with a satisfying little rumble of the pad to let you know it has caught fire. If you light one chair leg, the fire will first spread up to the main body and then slowly across the rest, as you’d expect. If you give the chair enough time, you’ll burn yourself and drop it, whereupon it will burn out, leaving a fragile charred shell. The length of time that items take to burn is also a factor in many of the game’s sequences. The first instance we came across that bought this point home was a segment where we had to traverse a narrow path of passable floor through an interior segment with no power, but there was a handily placed chair and raging fire near the start. If you set too much of the chair on fire initially, it’ll burn out before you reach the end…but if you do too little, it’ll be a while before you can actually see anything. Given these two options, it’s perfectly possible to simply cut out the middle man and attack zombies with burning furniture. This technique becomes even more viable if you’ve sprayed them with fuel first–for obvious reasons. Fuel generally makes the process of zombie killing easier; if you combine it with your current magazine, your bullets trail fire; if you use a rag and glass bottle, you have a Molotov cocktail; or if you just trail it on the floor, you can light up as the beasties get close. The bullet trick is particularly useful in short bursts. It does allow for a one-shot kill if you manage to get a flaming bullet through the heart of an oncoming zombie, but this is as hard to achieve as it sounds. Taking time out to combine fresh items when you have zombies bearing down on you really isn’t practical because you are vulnerable when doing so. This vulnerability comes from the game’s cool inventory system. In keeping with Alone in the Dark’s real-world rules, you can only carry what you can, well, literally carry. The inventory system consists of Carnby looking down into his coat and at the contents of the pockets or pouches stitched inside of it. While looking down, you get the option to combine such things as your ammo supplies, glowsticks, batteries, and double-sided tape. The combinations are varied yet logical. If you combine sticky tape with a glowstick, you have an instant wall-mountable light source. If you combine a full bottle of petrol with an empty bottle or two, you can make a few smaller bombs. If you strap ammo to the outside of a bottle of fuel and stick a rag in the top, you’ve got a Molotov cocktail that packs a slightly harder punch. Because bullets are so ineffective against most of the enemies, thinking creatively is the key to survival. Thankfully, you’re not going to get overwhelmed with options or waste your time randomly clicking on items to combine; when you choose an item to combine, you can then only go on to select items that can actually combine with it. Where the game really came into its own in the segment we got to play, however, was the end of episode two. The car chase through the streets of New York City was nothing short of breathtaking. It was also quite challenging because lots of elements in the set piece are randomly generated around pre-directed events. Many of the aspects of the escape are the same on each attempt: The roads break up in a similar way, jumps are in the same place, and rubble clears in the same way, but a driver’s reaction differs each time, so it does really feel like driving through a city in the midst of apocalyptic panic. The soundtrack also ties into the pre-directed events. For example, a full suite of choral voices kick in as you take the most impressive jump–and adds a truly epic feel. 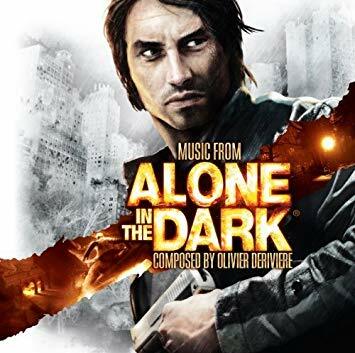 Alone in the Dark comes from the same studio as Test Drive Unlimited, and it shows. You can get into any accessible door of any given vehicle, rifle through the glove compartment for tools, check the visor for keys, or just rip open the steering column to hot-wire the vehicle. Overall we were really impressed with the way Alone in the Dark is shaping up. While there are still some issues at this stage, it’s an ambitious game that looks set to reboot the franchise in style. We’ll bring you more on Alone in the Dark as we get it, leading up to its release in June.